So... I have more day of school. Today I took my AP Macroeconomics exam, and then Thursday, when I literally have nothing to do except turn in textbooks, is my last day of school. Then it's... *dun dun dunnnn* Graduation season! My party is on Sunday (Wait, what? ), and then I have Baccalaureate on Tuesday then graduation on Friday with everyone's party on Saturday. This requires a lot of nice outfits, and honestly graduation season is so much fun, and I love dressing up. 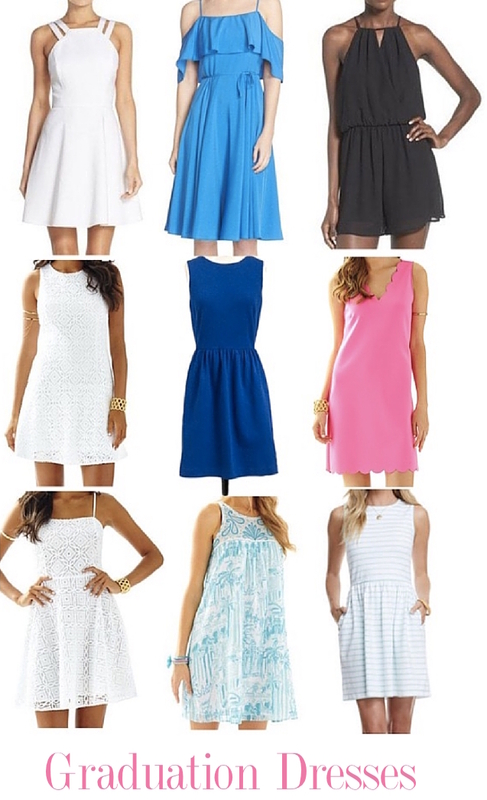 I created my picks for dresses that would be absolutely perfect for all the festivities! I know some schools require girls to wear white dresses, but my school doesn't. We just have to wear nice dresses. This is actually the dress I am wearing for graduation. 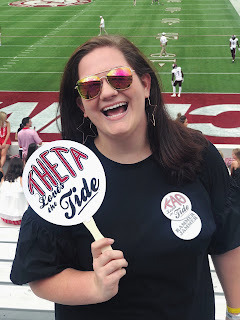 (I wore it for spring teas at Alabama too!) Then I think I am wearing this dress either in blue or pink (since I have all three) for baccalaureate. Personally, Lilly is my favorite place to buy dresses for really nice events like graduation. I've pretty much worn a Lilly dress for every nice event from homecoming to Will and Emma's graduation. I will definitely be sure to post my outfits for everything. P.S. I am trying my best to vlog my last week before graduation!